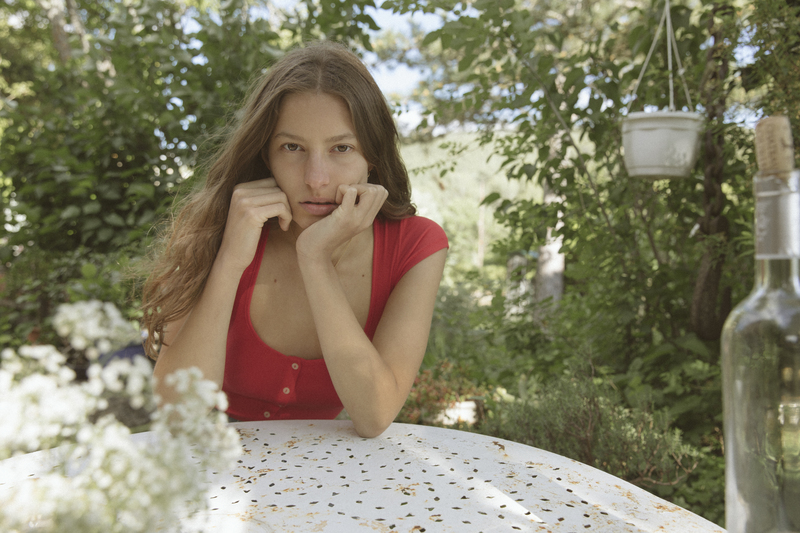 There’s something about post-Cannes springtime that leaves me a bit dreamy over those elusively nonchalant red carpet moments steeped in French Riviera beauty. Perhaps it’s the way the locals manage to don a halo of fresh-faced glamour that translates as easily to a sandy beach as it does an after hours soirée. Delivering a clever counterpoint to America’s more-is-more beauty aesthetic, the film festival’s homegrown stunners like Louise Bourgoin and Marion Cotillard prove time after time that understated French glamour rides not on heavy-handed cosmetics, but another form of insouciant style: That otherworldly glow that smacks of just the right touch of skin-perfecting exfoliation, illuminating moisture, and a near-imperceptible hint of screen star shimmer. An impossibly chic French co-worker once imparted the cultural secret: “your body is your best accessory.” And as such, exposed limbs should be polished like jewels. 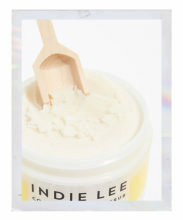 Indie Lee’s Coconut Citrus Scrub makes it look easy with exfoliating sugarcane and a cruelty-free blend of coconut and jojoba oils that buff away dull cells to reveal a gleaming surface. 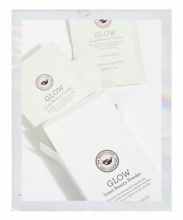 Sifting a sachet of The Beauty Chef’s Glow powder into a bottle of mineral water is one fairly effortless step toward nourishing your complexion with its organic probiotic cocktail of nutrients. 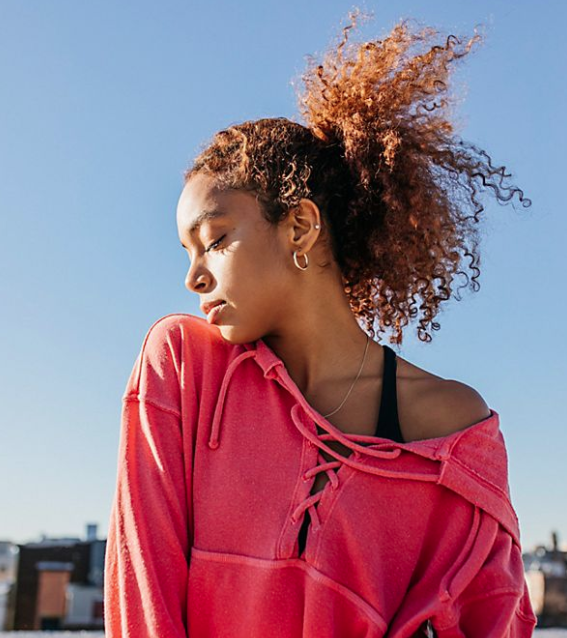 Taking the mystery out of each sip, an independent group study showed that more than 90% of month-long users saw an improvement in hydration and pre-existing complexion congestion. Fanatical about removing every trace of makeup, the French girl will. not. stand. for drying formulas. 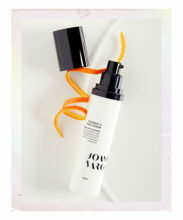 Enter Joanna Vargas’s Vitamin C Face Wash, which gently cleanses with antioxidants like Goji berry while simultaneously conditioning skin with hyaluronic acid for a detoxifying option that won’t leave you chapped. Luxuriating in a fruit-infused face mask can be as intellectual as it is glamorous if you grab an actual book and spend the half hour taking in a chapter or two. 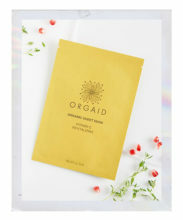 Orgaid’s chemical-free Vitamin C Revitalizing Mask can help reduce the appearance of damage with organic extracts meant to boost skin’s natural healing response. Simplicity is essential when keeping up the elusive level of insouciance which made tousled bedhead and smudged eyeliner a cultural mainstay. 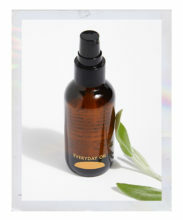 Streamline your glow-inducing moisturizer routine with Everyday Oil’s unisex-scented blend of cold-pressed and essential oils designed to multitask its way into seemingly endless uses: make-up remover, deep conditioner, cuticle softener, bath hydrator, and natural insect repellant (for romantic walks in tall grasses) are just a few that stand out. Notorious for sticking to a five-minutes-or-less makeup routine, French superbabes unsurprisingly nix all forms of contouring, though angelic illumination is fair game — as long as it’s imperceptibly sheer. 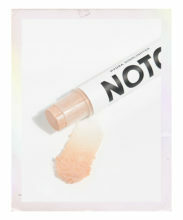 Hand blended to deliver a transparent glow, Noto’s Hydra Highlighter Stick moisturizes while soothing skin with calming lavender and organic shea butter. Try swiping its pearlescent mica formula from cupids bow to collarbone for a sun-reflecting gleam. 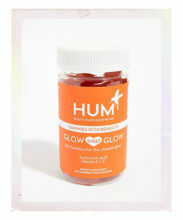 Practicing sugary restraint is easy when complexion-friendly confections come in the form of Hum’s vegan Glow Sweet Glow Gummies. Enjoying two of the tangerine-flavored treats per day helps to reinforce your skin’s ability to retain moisture. Hyaluronic acid and vitamins C and E tackle collagen production and cell health while masquerading as adorable heart-shaped bonbons. Thank you for these product recommendations! Haven’t heard of most of them, but definitely looking them up. Wonderful post. Thanks for these awesome tips. So creatively articulated. Thanks for your recommendations, made with such imaginative prose. Great post! Thanks for sharing these tips.